Twin rancher that is zoned mixed use and situated on a large, 80 X 139 lot, right at Holme Circle with superior signage and awesome exposure. Property is currently set up as residential on the upper level and operates as a Chiropractic Office on the lower level with separate entrance and handicap accessibility. The upper level features a spacious living room with ceiling fan and an abundance of natural light and a dining area that has an open layout overlooking the updated kitchen complete with ceramic tile floors, breakfast bar, an abundance of cabinets & counter space and newer appliances including refrigerator, gas range, hood and built-in dishwasher. The rear of the main level hosts 3 spacious bedrooms, all with ceiling fans and adequate closet space, as well as an update 3-piece ceramic tile bathroom with beautiful tiled surround, soaking tub & shower combo and pedestal sink. The lower level can be accessed through the home or the separate exterior entrance and is currently setup as a chiropractic office with powder room and 8 separate rooms but offers possibilists for a variety of uses for various businesses or the option to convert it back to residential space as a family room or additional bedrooms. There are also 2 large storage sheds (one with cedar lining and loft space) that are included. 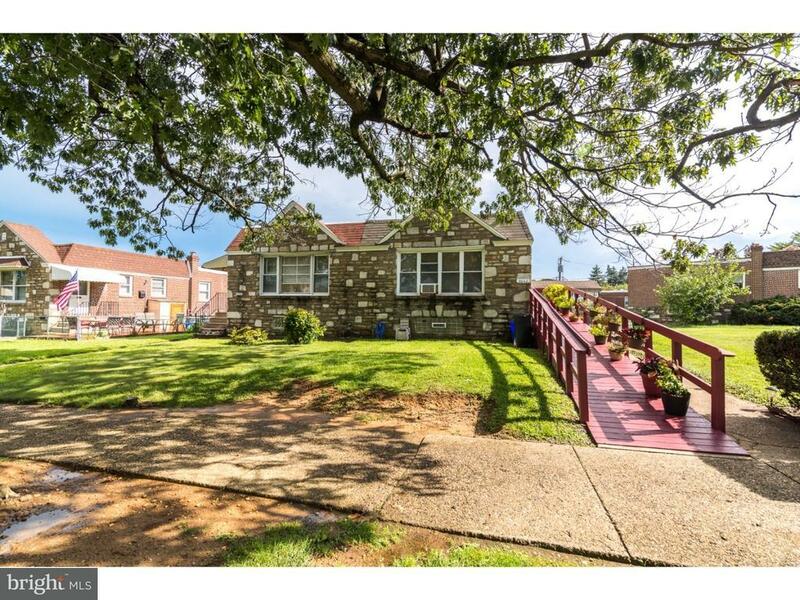 Located close to Pennypack Park, Holme Circle with numerous local businesses and eateries, park trails and major commuting routes.